Beran Resort was built by Captain Martin Daly over the course of five years, from 2010-2015. 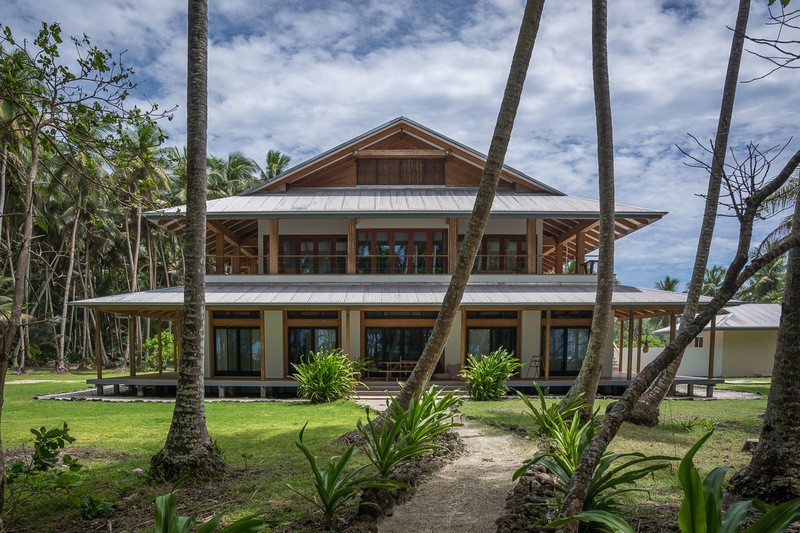 The resort was created to be a base of operations for surfers, kiters, divers, yachts, boat engineers, pilots and more – a forward operating base in the middle of the most remote parts of the world. From the ground up, the resort was built as a utilitarian and luxurious maritime operations center. With decades of experience on boats, Daly was able to expand the realm of possibilities with the Beran Resort, not limited by the space of a boat. Starting with a very large rain catchment system below the resort, the resort is passively climate controlled by the water we catch from the tropical rainfall. The resort was built just behind the palm tree line from the windward side of the island, so we have a constant mild tradewind keeping the open areas cool. Common areas have oversized ceiling fans, which generally provide adequate cooling with the wind, while all rooms have ductless AC and cooling fans. With our 28 kilowatt solar system, and 20 kilowatt Turbines generating electricity 24/7, and our large battery backup, we have so much power we have to run the AC to use the power we are creating. Common areas include upstairs kitchen and living room – where chef Mango will be cooking up a storm as you come home from your surf sessions, coffee ready 24/7, and beers, water and soda cold year round. Large TV for post-surf photo viewing events, and a large square table for all the meals. Martin generally has one rule on boat trips – wear a shirt at dinner. The family style dinners become one of the highlights of the trips (aside from the tubes, of course). With Beran essentially having a rotating door of the most interesting players in the surf, as well as world stage, old captain’s tales of shipwrecks, treasure, the search for Amelia Earheart, every night we talk story, surf, and history, while enjoying freshly caught fish, vegetables grown in the garden, as well as imported ingredients for specialty diets (low carb, vegan, vegetarian, etc). Decks surround the resort, with views of the closest breaks you can drink your morning coffee and watch the swell fill in as you wait for freshly cooked breakfast, or help yourself to fruit, toast, cereals available all morning.